Expedia can help you save heaps with a Lappeenranta travel package. With all that extra money in the bank, you might even like to lock in a few more nights. Secure a package deal on Expedia and save as much as C$590*. Pick from more than 400 partner airlines and 321,000 worldwide properties on our global database of flights and lodgings. Fly with who you want, stay wherever you want — now that's the perfect vacation! Don't worry about altering your family's plans, as we don't charge additional cancellation fees for almost all of our hotel bookings. Getting excited about your trip to Lappeenranta? Looking for some tips about what to do while you're there? That's where we can assist! Lappeenranta Fortress guarded the region from invaders for years. Drop by this powerful battlement and discover its role in history. Travelers in this destination are spoilt for choice. Forget your history books! Let the past jump to life at Wolkoff Home Museum. Still got time on your hands? History has infinite lessons to teach us. Drink in the knowledge and better acquaint yourself with the past at South Karelia Museum. There are just 5 Expedia accommodations in Lappeenranta. Book now to ensure that you get a room for your luxury getaway or cheap vacation. 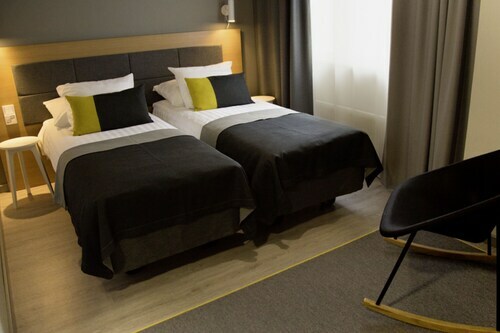 Begin your vacation on a luxurious note by sliding between the soft, silky sheets at the Scandic Patria (Kauppakatu 21). Alternatively, the Huhtiniemi Camping (Kuusimäenkatu 18) is an excellent place for the budget-conscious traveler to rest their head. Check in and clear security, board the plane, stow your luggage and get comfortable! Your trip to Lappeenranta isn't too far away. After the wheels touch the ground at Lappeenranta Airport (LPP), you'll be about 1 mile (2 km) from the heart of downtown. 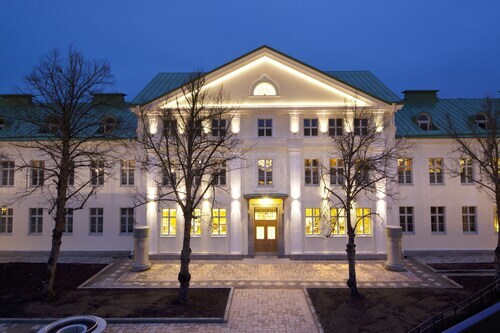 Located in the heart of Lappeenranta, this spa hotel is within a 10-minute walk of Wolkoff Home Museum and Lappeenranta Fortress. South Karelia Museum is 0.6 mi (1 km) away. Lappeenranta Station is 22 minutes by foot. This family-friendly Lappeenranta hotel is located on a lake, within a 10-minute walk of Capri Shopping Centre and Angry Birds Activity Park. Imatrankoski Rapids and Cultural Center are also within 6 mi (10 km). Located in the heart of Lappeenranta, this hotel is within a 10-minute walk of Wolkoff Home Museum and Lappeenranta Fortress. South Karelia Museum is 0.7 mi (1.1 km) away. Lappeenranta Station is 16 minutes by foot. Located in the heart of Lappeenranta, this eco-friendly hotel is within a 15-minute walk of Wolkoff Home Museum and Lappeenranta Fortress. South Karelia Museum is 0.9 mi (1.5 km) away. Lappeenranta Station is 13 minutes by foot. 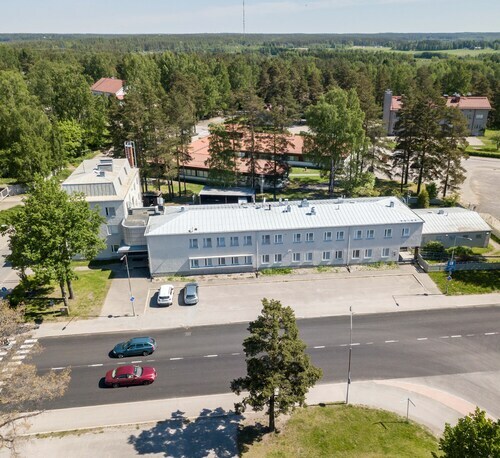 Located in the heart of Lappeenranta, this hotel is within a 10-minute walk of Wolkoff Home Museum, Lappeenranta Fortress, and South Karelia Museum. Salpa Line Bunkers and Ylämaa Church are also within 25 mi (40 km). Lappeenranta Station is 20 minutes by foot. 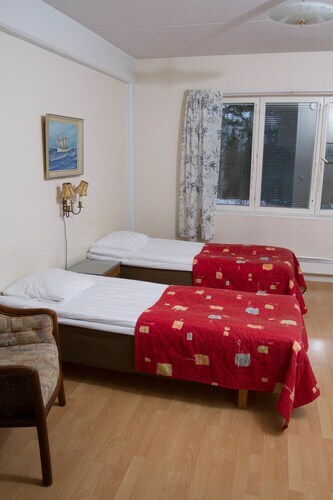 Situated in Lappeenranta, this guesthouse is within 12 mi (20 km) of Capri Shopping Centre, Angry Birds Activity Park, and Imatrankoski Rapids. Cultural Center is 10.7 mi (17.2 km) away. 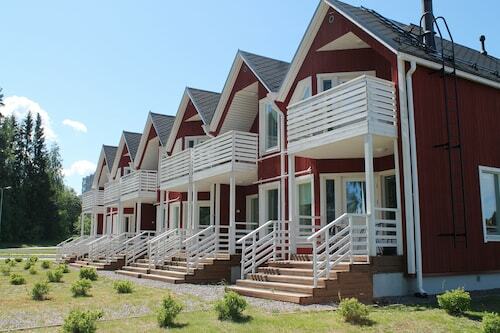 Situated in a state park, this cottage is within a 10-minute walk of Angry Birds Activity Park and Capri Shopping Centre. Imatrankoski Rapids and Cultural Center are also within 6 mi (10 km). 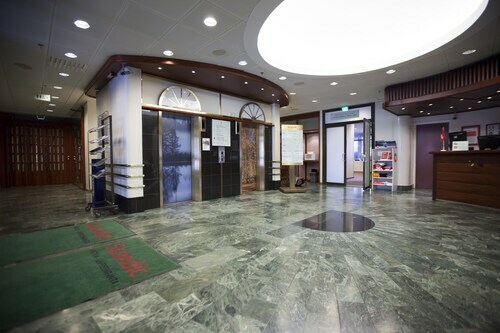 Situated in Lappeenranta, this hotel is within 3 mi (5 km) of Capri Shopping Centre, Angry Birds Activity Park, and Imatrankoski Rapids. Cultural Center and Imatran Golf are also within 9 mi (15 km).